This Halloween planner will organize all your Halloween costumes, parties, activities & more! Decorating pumpkins. Trick or Treating. Visiting a haunted house or even going on a haunted hayride. Watching "It's the Great Pumpkin, Charlie Brown." When it comes to Halloween activities I want to do it all. And now that my kids are old enough to get excited about Halloween too I am planning to make every Halloween fun for them and stress free for me. 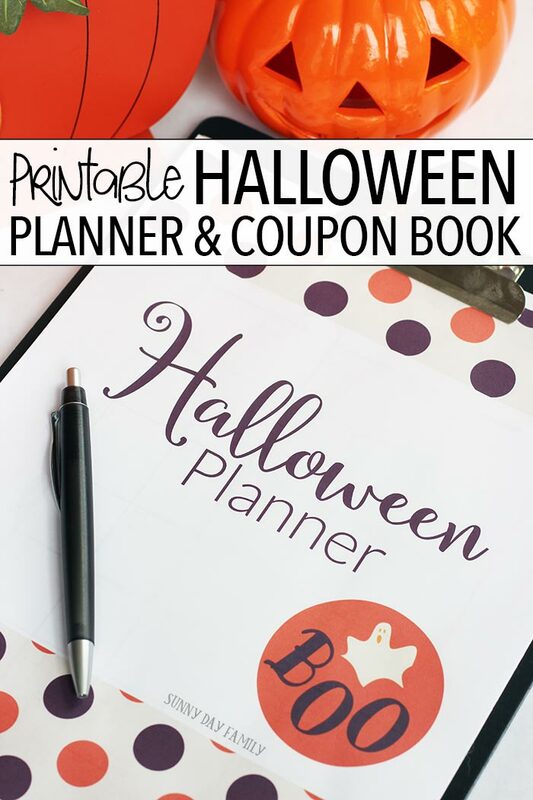 But I need a little help to stay organized and make sure I don't miss anything - so I've created a Halloween Planner to add to my family organizer. 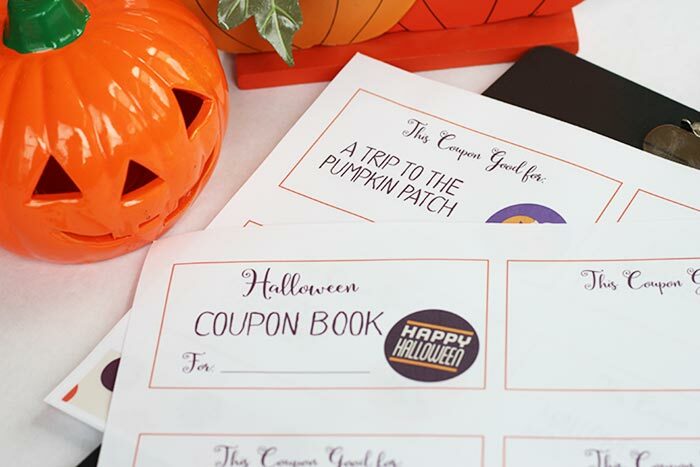 I've also put together some really cute Halloween Coupons for even more spooky fun. Want to celebrate with me? Take a look inside. This post contains affiliate links. See my Disclosure Policy for details. 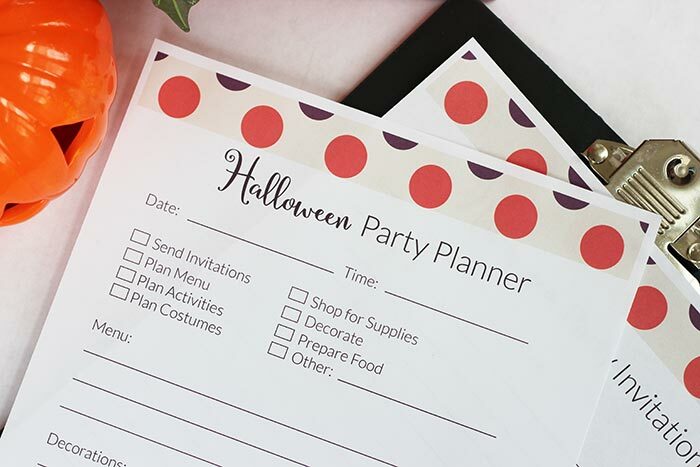 Whether you're planning a Halloween party, coordinating classroom activities for school, or just planning your own family fun, this printable planner makes a great addition to your family organizer. There are so many fun things to do for Halloween - from decorating the house to picking out costumes - and if you aren't organized you may miss something. Believe me, I've been the mom at the grocery store at 6:00pm on October 31 trying desperately to find candy to hand out because I completely forgot to buy it beforehand. Using a planner helps me to not forget those little details, keeping the fun in the forefront and my stress at a minimum. Undated month at a glance calendar - Start in either September or October and have all your plans in one place. Halloween fun activity planner - Make a list of the crafts you want to make, activities you want to do, places to go, etc. Costume planner & supply list - Whether you are purchasing costumes or going DIY, you this page will make sure you have all your supplies and accessories ready. Print as many as you need! Decorating/Project planner - Keep track of your projects and plans for decorating both indoors and outside. To Do List - Put all your errands and things to do in one spot so you don't forget a thing. Includes a list of suggestions too. Shopping List - A place to list everything you need to pick up from costume supplies to decor to treats. Party Planner - Planning a Halloween party? This page will keep all of your details organized for the best bash ever. Invitation & RSVP Tracker - Keep track of your Halloween party invites and RSVPs here. 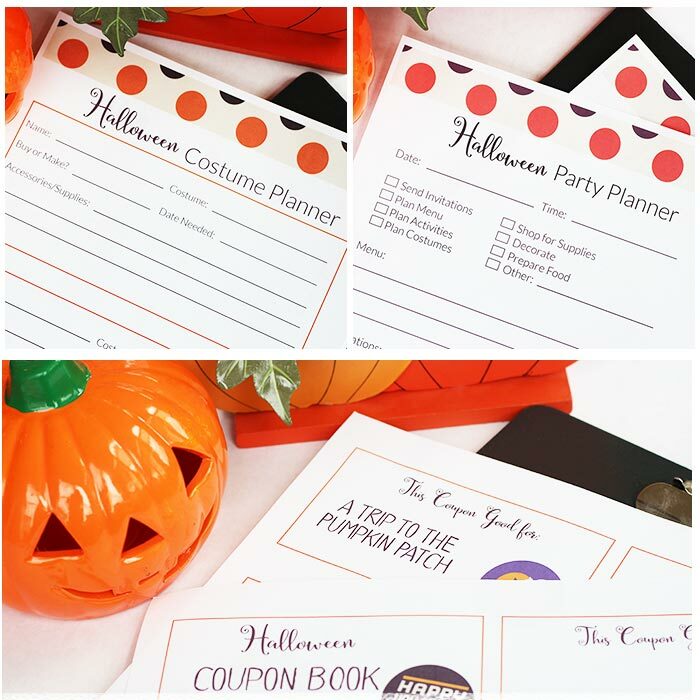 This planner also includes three pages of Halloween Fun Coupons - 10 total, with one that is blank for total customization. These coupons make awesome rewards for your kids or can be used just as fun surprises! They are also perfect for Halloween goodie bags or no candy trick or treat handouts. Are you ready for a great Halloween? Then grab your Halloween planner today and let the fun begin! Need some inspiration for Halloween fun? Check out all my Halloween ideas here - activities, crafts, printables and more! Want to save this for later? Pin it here! I'm a mom to twin boys, two dogs, & a cat, making family life easier with strong coffee, my planner, & lots of love.